During the World Championships, I (Dr. JoAnn) got to interview Olympian Shannon Rowbury on-site in Moscow, talking about our sports psychology work together as she’s preparing for her peak performance in the 5,000 meters. Listen to this quick audio to understand how you can mentally rehearse for your peak performances in life. Sports Psychology Olympics: NBC-TV Interviewed me, as a Sports Psychologist and Performance Coach working on-site at the London Olympics doing Mental Training with my athletes right before their event to enhance peak performance. You can view me (Dr. JoAnn Dahlkoetter) in this video below in the NBC Studio doing an interview with Brent Cannon about my sports psych mental preparation work with athletes at all levels. Click on Play Area below to view video. Sports Psychology Coaching – Sports Performance Expert, Dr. JoAnn Dahlkoetter talks about mental training for athletes, coaches, and sports parents. 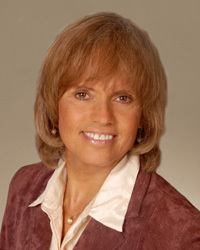 JOANN DAHLKOETTER, PH.D, best-selling author of YOUR PERFORMING EDGE, medical staff member at STANFORD UNIVERSITY MEDICAL CENTER, is an internationally recognized performance consultant, KEYNOTE SPEAKER, and WORLD-CLASS ATHLETE. As a past winner of the SAN FRANCISCO MARATHON and 2nd in the HAWAII IRONMAN TRIATHLON, Dr. Dahlkoetter is a frequent expert guest on talk shows and has appeared on ABC’s WIDE WORLD OF SPORTS, and featured in SPORTS ILLUSTRATED. 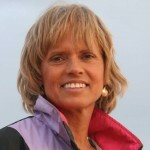 She contributes to write for TRIATHLETE MAGAZINE and RUNNING TIMES. 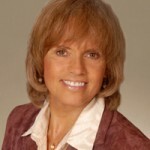 Her work with OLYMPIC and professional athletes and top business executives gives her special insight into using the mind-body connection to achieve the best in personal performance. Become Certified – Create Your Peak Performance Practice Today! * Would you like to create a Successful Practice or Business in Peak Performance Coaching or Sports Psychology? * Would you like to work with athletes of all ability levels including Professional or Olympic athletes? * Would you like to make a strong, financially secure income doing what you have are passionate about? Join us! Dr. JoAnn Dahlkoetter’s PECI Certification Program! 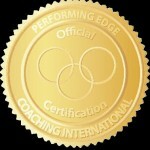 If you would like to build a successful practice working with athletes or fitness oriented clients at many levels, who are motivated, intelligent, and inspiring, or you want to maximize your clients’ and athletes’ potential, or if you would like to move into the area of performance coaching/sports psychology, you may have the opportunity to become a Performance Edge Coach! You will be personally trained by one of the world’s leading Sports Psychologists from Stanford, with several Olympic Gold Medalist clients who has worked on-site at the last 4 Olympic Games, as a Licensed Clinical Psychologist. You will learn how to work behind the scenes in preparation for major competitions and for athletes at all levels. What are the Unique Advantages of PECI Certification/Mentoring? the ability to skillfully and effectively work with high paying clients and all levels using techniques that work and are supported by real life results and are empirically researched. How does the PECI Program Work? During this program, you will work with real athletes, receive case studies, get hands-on experience in dealing with real-life challenges and receive written articles, assessments, and develop treatment plans to ensure that you have the tools necessary to be an effective Performance edge coach. By the end of the program, (when you have completed all requirements for graduation, (including passing the certification essay exam,) you will receive a certification from Performance Edge Coaching International as a certified Performance Edge Coaching Professional and will be able to use the PECP title and certification seal and earn a listing for clients referrals on PerformanceEdgeCoach.com as a certified PECP. What Tools and Techniques will I have Access to? What are the Requirements to Get Started? What are the Benefits once I am Certified? RE-CERTIFICATION – To maintain PECI certification, and the privileges that come with PECI certification, PECI certification participants are required to pay an annual PECI recertification renewal fee which includes ongoing updates with the latest information and trends in the field. Ask about our recertification renewal fee. And many more benefits to come! What Practical skills will I Learn in this Program? Plus, when you trained as a Certified Performance Edge Coaching Professional (PECP), you’ll learn to master the latest strategies you can use to help athletes increase energy and productivity, build confidence; maintain focus; increase team cooperation; improve communication skills; and maximize performance. What about the Tougher issues that I may face in my practice? ANXIETY: 5 ways to handle “choking” or a lack of concentration. What Specific Components and Topics will I Learn and Practice? The curriculum is customized within each PECI certification level according to the needs of each student. The Performance Edge principles and techniques in the YPE book will be explored in greater depth, emphasizing how to deliver each of these techniques effectively to clients to promote better performance, health, satisfaction, and faster recovery. You’ll learn the YPE method which can be adapted to your own coaching style for your particular client population. What will I walk away with? What are the Options & Fees? In Feb. This is the most affordable this course will ever be. Limited spaces available. This course is filling up quickly. Apply now (below) to reserve your place in this long awaited elite coaching program. This special fee is offered only for this current course only until Feb 22, 2011, and will be substantially increased for the next course. Have questions? Send us an email or call, we’ll respond right away. Our program has 100% money back guarantee for the first 2 modules. We want to make sure you are well-trained and successful. We stand behind our program and will do everything possible to get you to your goals.